Today my new mod is out, and we'll be honored if you try it. Besides the fact that I'm the head of this project, it doesn't mean that I'm alone at it. I count with the unconditional support of Simracing a Full! They finished texturing the personalized, as well as the Season 2009 cars. I also want to mention those who support me and give me strenght to continue on this. 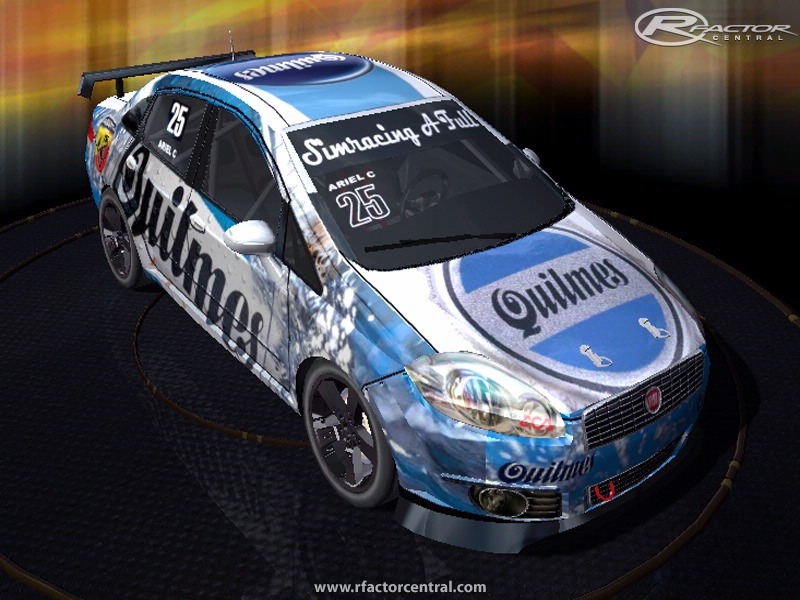 It all begins with the idea of modeling the series that began to accompany the Argentinean TC 2000 this season. The 2009 Fiat Linea Competizione have 25/30 cars each presentation, and made its debut April 5th 2009 at Circuito Oscár Cabalén, Córdoba. The purpouse of the whole project is to bring the user the sensation of driving the real race car, and for that to take place, we did a lot of research to get all the technical data that was needed in order to be able to make real physics. But not everything is simulation, so we also garanteed great excitement and competitivity while you drive these cars. Remember that this cars are allmost street cars, with the roll cage, race tires and a little touch in the engine. Besides using pics, we also analized the real car in order to have a greater precision and realism in the volumes and shapes of the car. The project is finished and it's available for download now. 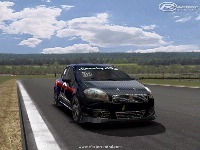 This mod also includes a personalized cars season with over 25 customized cars. this season is a fantasy one. They have the same physics, although the engine is a little more spicy!! Hoy tengo el agrado de presentarles mi nuevo proyecto, el cual ha sido terminado, y sería un honor para nosotros, que ustedes los prueben. Aunque el proyecto ha sido encabezado por quien les habla no quiere decir que este solo en esto, cuento con el apoyo incondicional de Simracingafull.net, quienes se encargaron de la pintura de la versión personalizada y también de la de los autos 2009, además de ser quienes me apoyan y me incitan a seguir en esto. 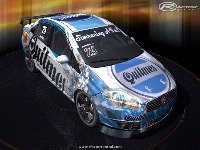 La idea fue realizar la monomarca que comenzó a acompañar el TC2000 Argentino, la 2009 Fiat Línea Competizione, la cual esta conformada por 25/30 autos, y debuto el 05 de Abril del 2009. El propósito de todo proyecto es brindarle el usuario la sensación de manejar el auto verdadero, para esto se llevo a cabo una gran investigación para conseguir todos los datos técnicos necesarios para así poder realizar físicas reales, pero como no todo es simulación también garantizamos un gran entretenimiento y competitividad al momento de conducir. La parte grafica está basada en blueprints, además de fotos y videos obtenidos del sitio oficial de la categoría www.fiatlineacompetizione.com. Además de usar fotografías, también se analizo el auto real para así tener una mayor precisión y realismo en los volúmenes y formas del auto. El proyecto ha sido terminado y ya está disponible para descargar. Este mod también incluye una temporada con autos personalizados, que cuenta con más de 25 vehículos personalizados. Estos poseen las mismas físicas, pero el motor ha sido potenciado un poco. 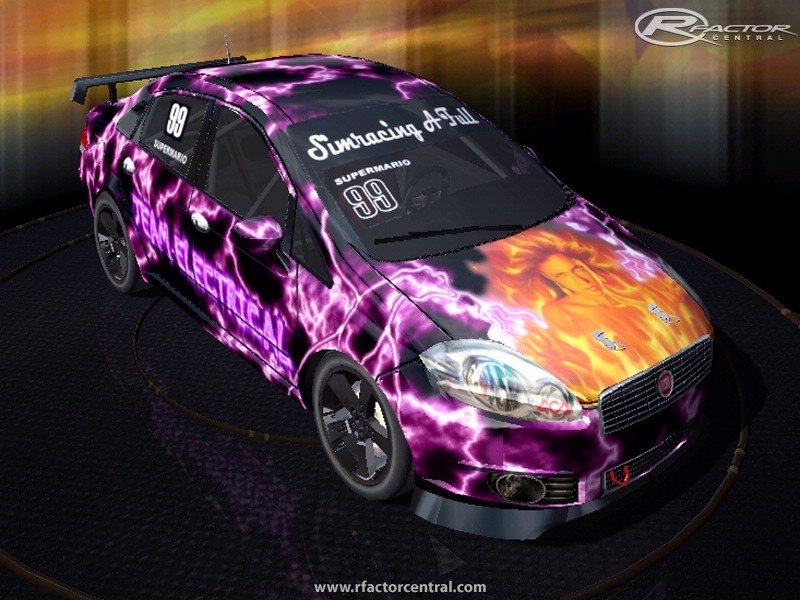 There are currently no car skins available for Fiat Linea Competizione 2009. If you are a painter you can share skins for this mod via the Car Skins area. Visit the Spray Booth for painting tips & tricks. Hola, te quería avisar que los links están caidos. Y el del mirror es del GP2 2008. Hay posibilidad de resubirlo? Gracias! Exceletne Mod Chyva! es el que más utilizo, muy bien cubierto en casi todos los aspectos... lo único incómodo es que cuando le vuelas el alerón trasero a un rival automáticamente se mete a pits a reparaciones, fuera de eso notable proyecto. Consulto, tengo ganas de editar skins para esta serie, hay alguna posibilidad de conseguir el template? Muchas gracias! 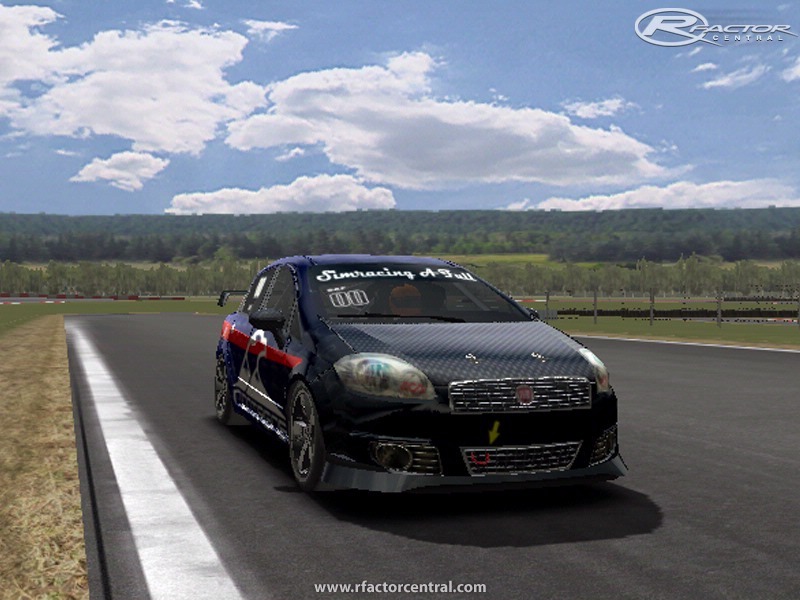 this mod don't go on my rfactor, why? can someone help me? please post a new link! un saludo desde uruguay ta guenaso este fiat !!!! My turn to apologize for the delay. Thank You very much for the template, I am a happy camper. Love to skin & now will get to work on some fine Fiats Great MOD & I look forward to anything else that you can add to this MOD or any other projects you guys might be working on. Again Muchas Gracias Mi Amigo Great Job !!!!!!!!! Hi TUNDRA!!! First of all, I want to apollogize about the delay in the answer to your question, but due to personal problems I don't come here a lot like I used to. The answer is yes, there is a Template of our mod, I promise I deliver this to you sometime in the next couple of days and place a download link of it, so everybody can have it. Again, sorry! See ya! OK, I hope someone can answer or is checking this page, but is there a template out there for this MOD ???? Please ? This may have already been covered, but is there a template out ? or coming soon ?